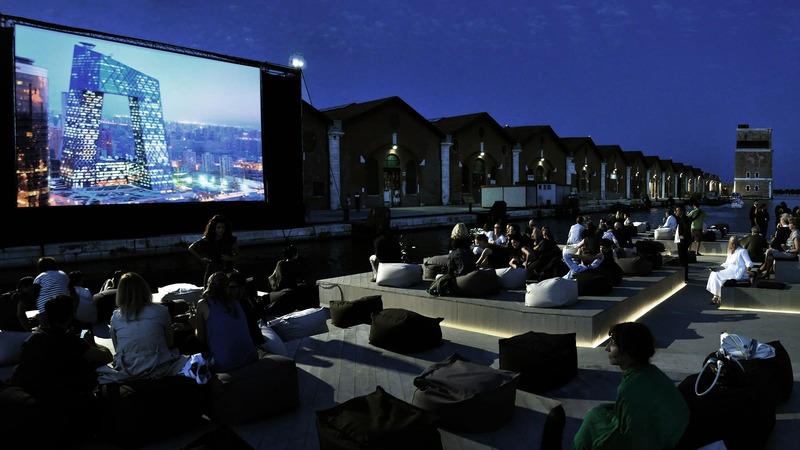 An evocative outdoor theatre located within the old harbour basin Darsena Grande of the Arsenale. 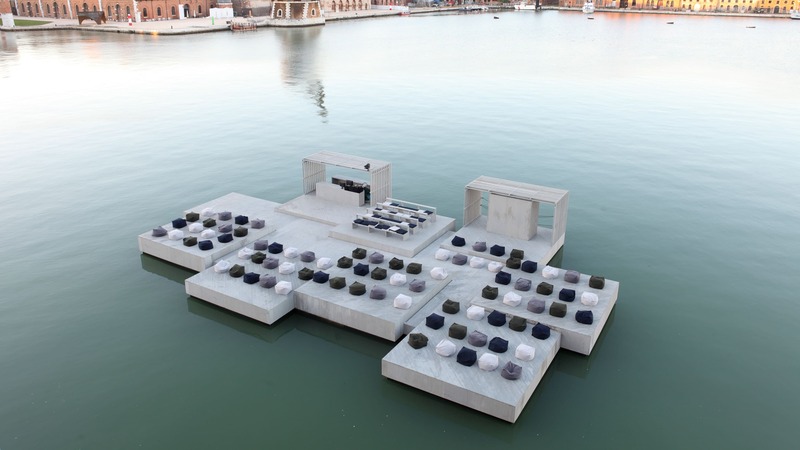 Floating 120-seat Auditorium, Bar, Sound Stage, Central Pier, Boat Dock. 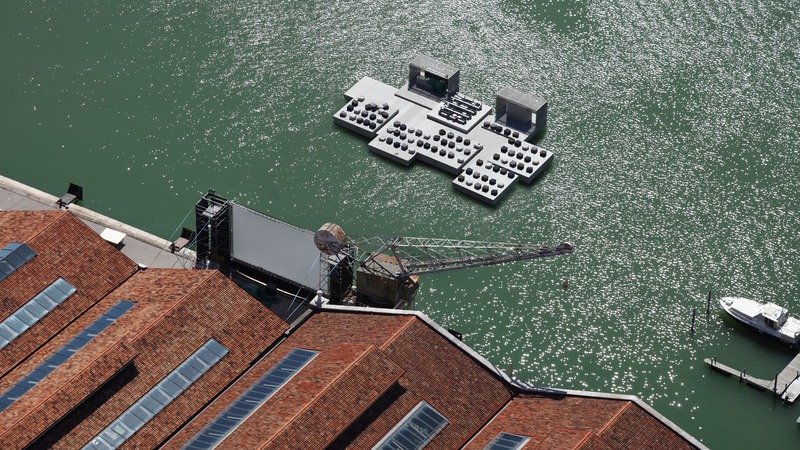 Archipelago Cinema, a floating auditorium designed by architect Ole Scheeren, was part of the official selection of collateral projects in Venice at the 13th International Architecture Exhibition in 2012. 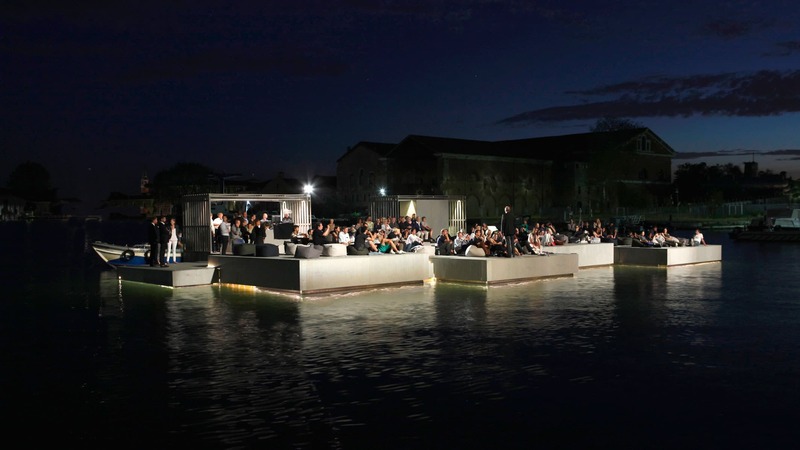 An evocative outdoor theatre located within the old harbour basin Darsena Grande of the Arsenale, Venice’s historic shipyard, this modular raft acted as a mobile stage for public events, including the world premiere of the film Against All Rules. 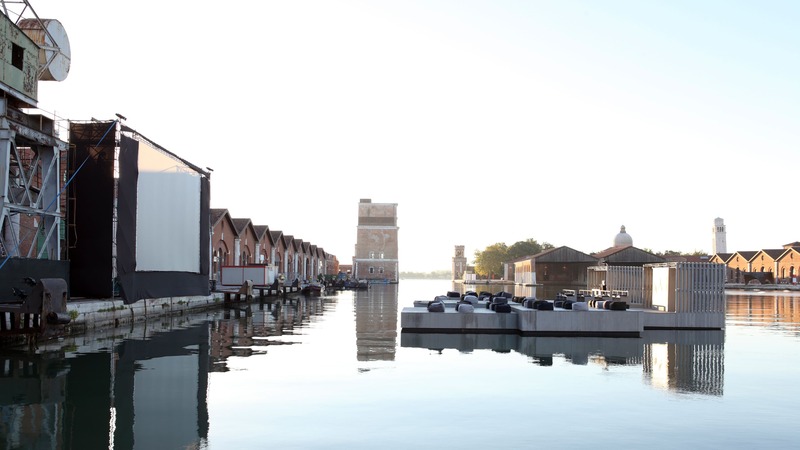 Besides landmark projects around the globe, Ole Scheeren is also actively exploring nonarchitectural projects and interventions, such as Archipelago Cinema. 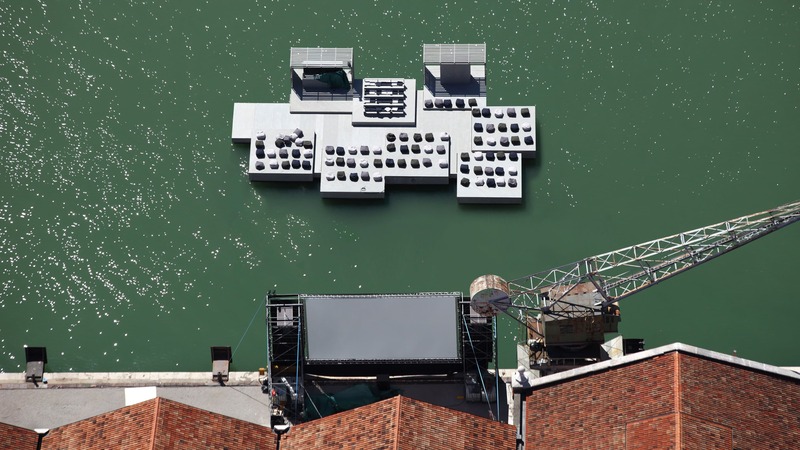 The floating auditorium was first conceived in the Andaman Sea of Thailand, and was subsequently recreated for at the 13th Architecture Biennale in Venice.